I'm three days into my second Whole 30 and happy to report that it was a much easier transition this time! I had some mild headaches for the first couple days and felt a little under the weather, but haven't experienced the extreme mood swings that I did last time. I'm a bit cranky, a little more hungry than I have been in awhile but also consciously aware that it's likely my brain chasing a sugar high. Knowing what to expect this time is a relief and I'm confident I'll feel like myself again by the end of the week. The support from my social media following has been incredible! It's exciting to hear from so many women who've reached out to tell me they're giving Whole 30 a try in October. I definitely didn't expect that at all when I decided to share my journey, but it was the icing on the cake for me. Now that a little community is growing it feels great to know that we can lean on each other and share our experiences. Knowing you aren't the only person out there trying to run past bakeries without breathing is oddly reassuring! 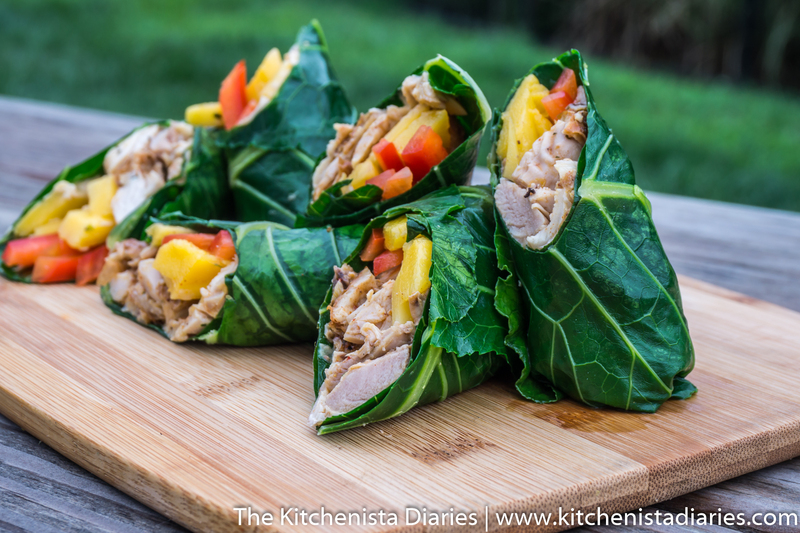 Today's post is a recipe that will work for just about any diet. Well, except vegetarian. No disrespect to the non-meat eaters out there but today is all about the chicken. This is not going to be anything complicated or earth shattering, just some good tasty chicken. Boneless skinless chicken breasts get a bad rap, and I admit I used to skip over them myself. They can be unforgiving and too often end up on your plate overcooked and underseasoned. Nevertheless, it's not that hard to get right with a few easy tricks of the trade. Pounding the breasts flat helps them cook evenly, salt brines the meat to season all the way through the interior, and using an instant read thermometer monitors doneness to ensure meat isn't overcooked. I've been grilling my chicken cutlets this way for more than a year now and this technique has never failed me. 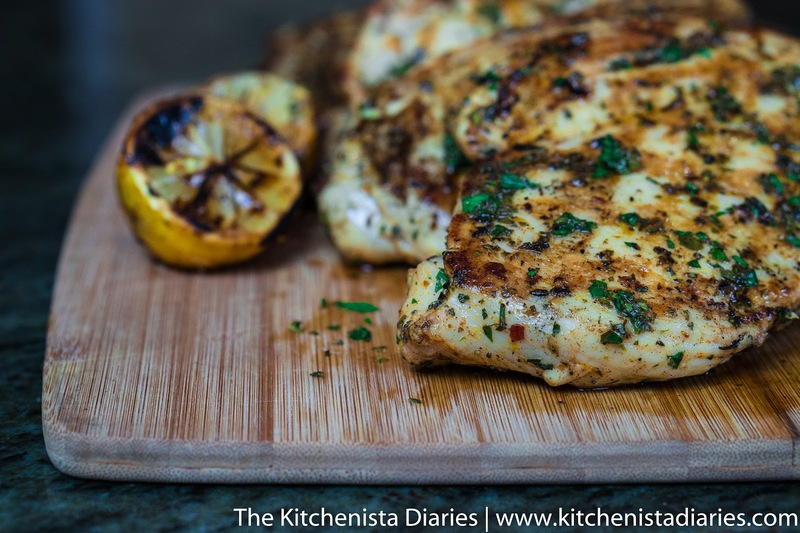 Every time, I get tender and juicy chicken breasts that are evenly cooked and perfectly seasoned. 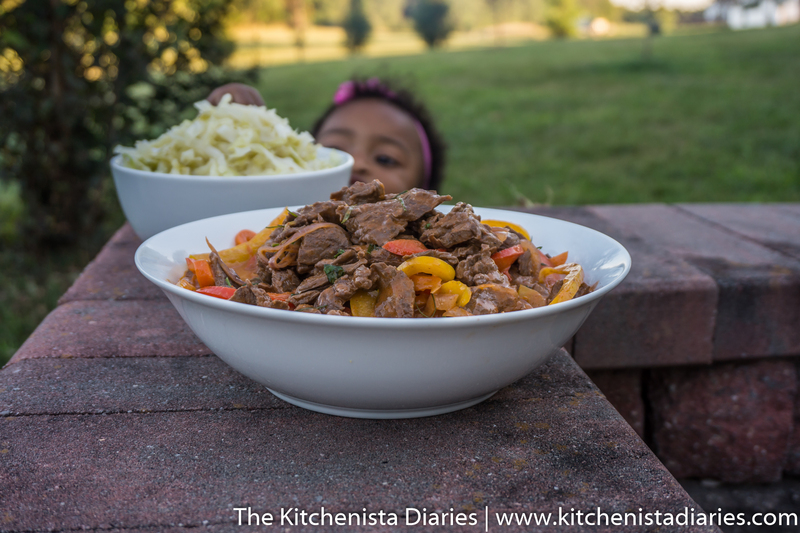 This recipe is great for meal prep if you like to cook big batches of meat for your lunches or dinners in advance. You'll end up with plenty of lean, healthy chicken that's great to slice up for salads, grain bowls, wraps, or whatever else you desire. It's something I do at the beginning of every week to be sure I have an easy protein fix for my Whole 30 plan. Oh, it's also a good one if you have any stress to work out. You know, like the "I just gave up sugar and want to hurt somebody" kind of stress. You're going to love the meat pounder. 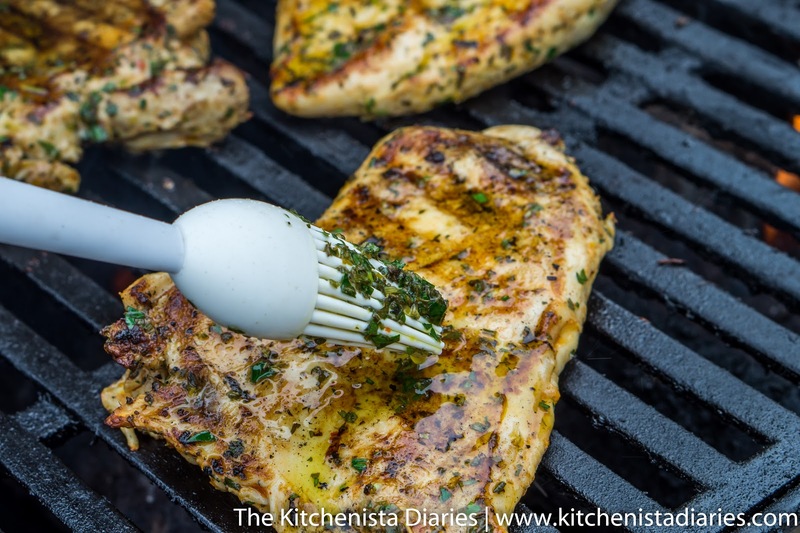 I do switch up the spice blends for my grilled chicken from week to week, but the recipe I'm sharing today is my favorite and the one I do most often. 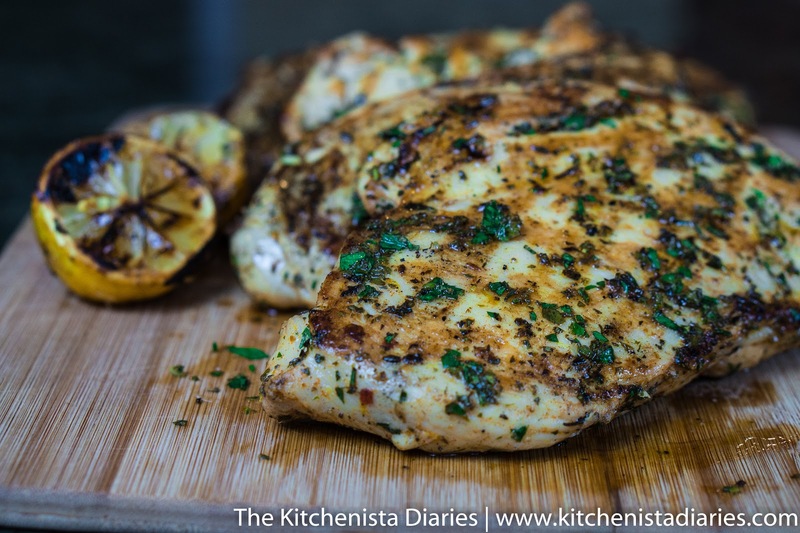 When classic poultry herbs and spices meet fresh lemon, you can't really go wrong. Side note: I love how fresh rosemary, sage, thyme and parsley smell. I call them my Thanksgiving herbs because every holiday, I chop up a gigantic mound to use in everything that day from the turkey to the dressing. Mmmm...especially the dressing. Okay, let me get on to this recipe before I start hallucinating aromas of fresh baked bread over here. 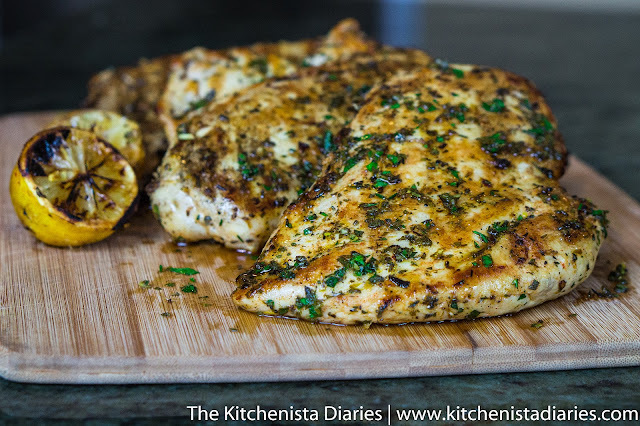 Buy decent chicken breasts for this recipe; the big meaty ones that come in family packs are perfect. I tend to stay away from frozen chicken breasts unless it's a really good deal and even then they just don't cook up the same. Avoid buying chicken that is labeled with any kind of flavoring or retained solution. When you see that it means the chicken was already injected with a brine and god only knows what was in it. Use poultry shears or your chef's knife to trim off excess fat, if any. Now here comes the fun part. 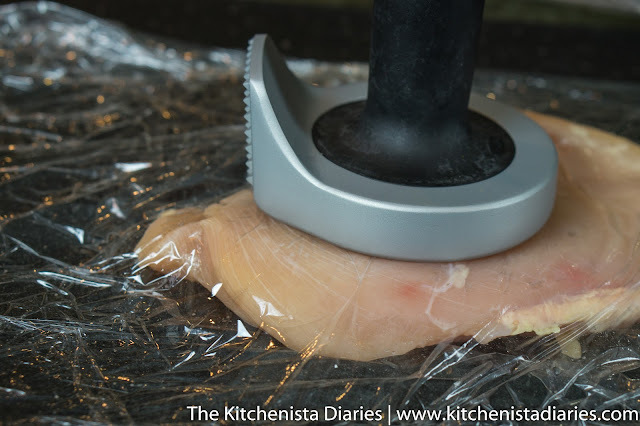 Place one chicken breast at a time in between plastic wrap or a ziploc bag, and use your meat pounder or rolling pin to flatten out the thick part of the cutlet. 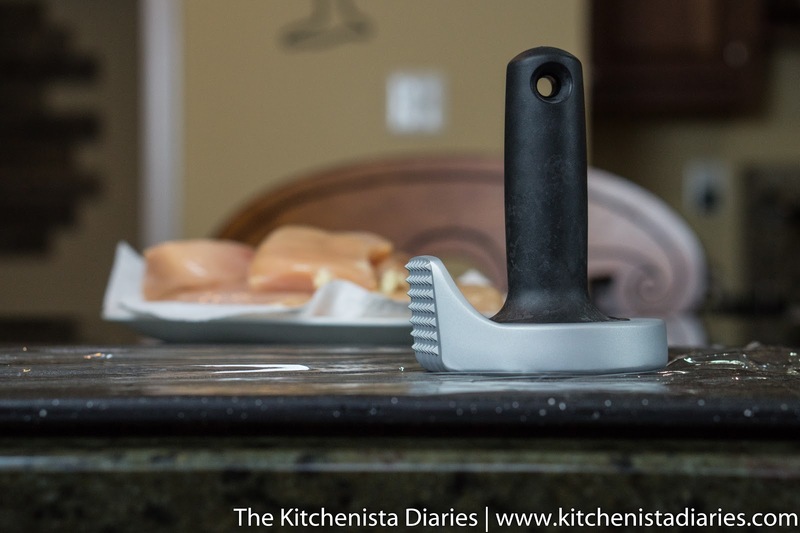 If you're using an actual meat pounder, you'll smash down and outward, so that it glides off the chicken in one smooth motion. The rolling pin is more of a crazed whacking maneuver but it gets the job done. I only recently graduated to buying a real meat pounder/tenderizer and I feel like an adult now. As you pound the chicken breast you'll see it spread out and flatten. Don't smash it to the point of breaking up the meat though. 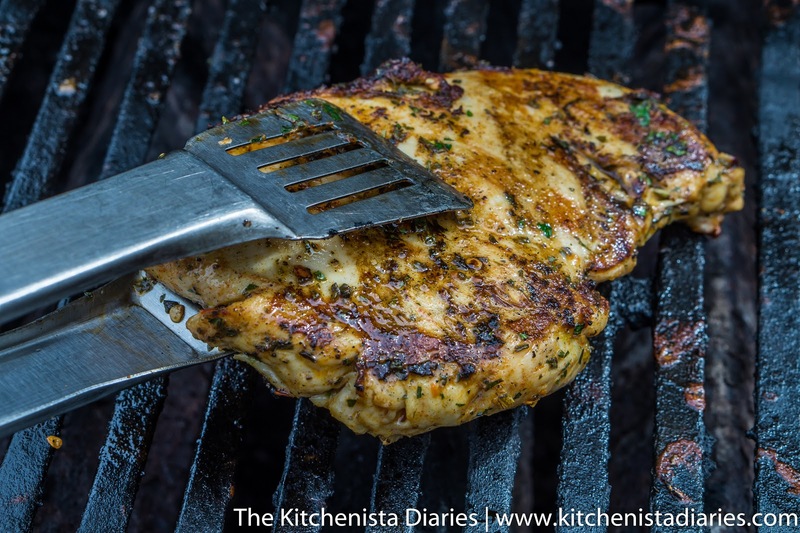 Chicken breasts are naturally unevenly shaped, with a big thick middle that takes longer to cook than the flatter ends. Pounding the breasts out creates a uniform shape that will cook in the same amount of time all the way through. 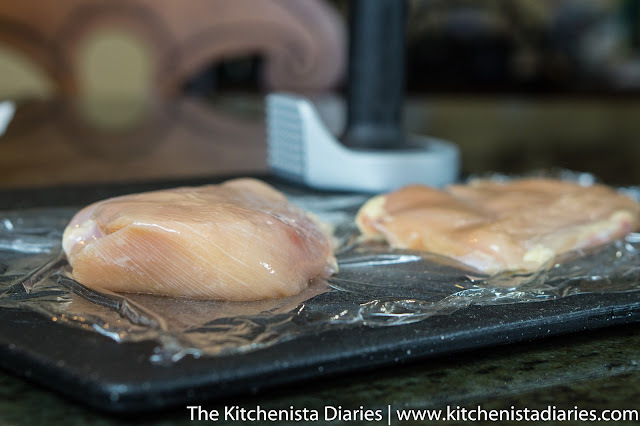 Now you won't have to dry out half your chicken waiting for the thicker part to finish cooking. On to seasoning now! Chop up the big pile of herbs as finely as you can, discarding stems. Zest the lemons and grate the garlic cloves. A microplane gets both of those tasks done. 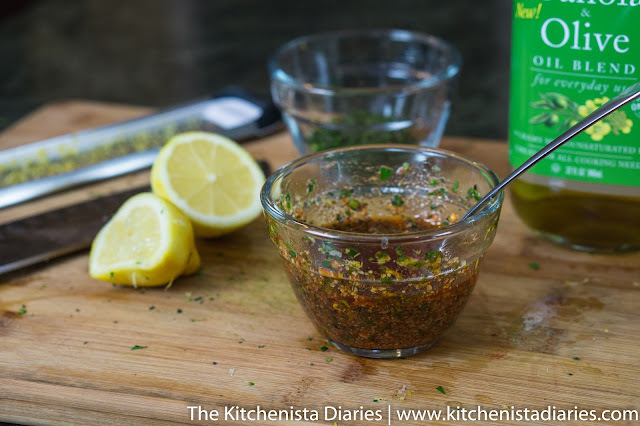 Combine the salt, pepper, paprika, celery seeds, red pepper flakes, garlic, half of the lemon zest, and half of the herbs with enough cooking oil to make a thick paste, about 1/4 cup or so. Add the juice of one lemon, reserving the other. I used a canola & olive oil blend here which works great with high heat. This is your brine/marinade for the chicken breasts. 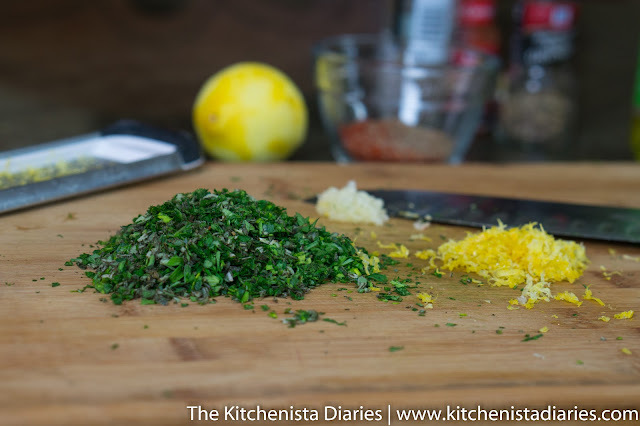 In a separate small bowl, combine the remaining herbs, lemon zest, and olive oil with a pinch of salt. This will be for basting the cooked chicken, so set it aside. Don't waste your extra virgin olive oil on food that will be cooked at high temperatures; instead use it as a finishing oil to retain all of its flavor and health benefits. You could also use melted butter or ghee in place of the olive oil here. I prefer olive oil when I'm going to be eating most of the chicken as cold leftovers, and butter if I'm serving it hot. 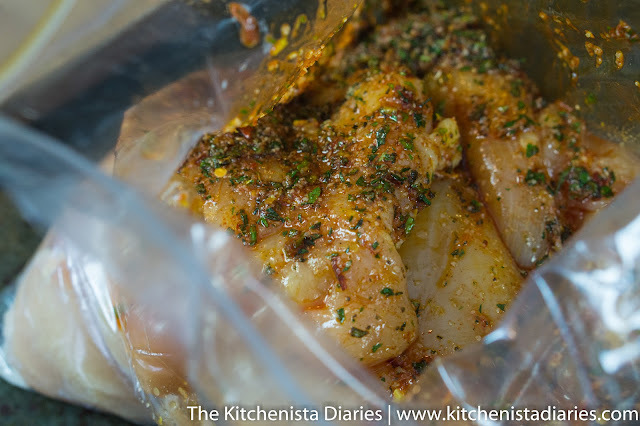 Place your pounded chicken breasts into a resealable plastic bag or bowl, then pour in the marinade and massage it into the chicken. Make sure it's all evenly coated. The salt will do its job best if you give it at least an hour to penetrate the meat. However, unlike soaking chicken breasts in a super salty traditional brine, there's no risk of over salting your chicken here, so you can marinate it overnight if you want. I usually give my chicken a full day to hang out in the fridge before cooking. Just take it out about 20 minutes or so before you plan to grill. Prepare your grill for direct heat, or if using gas just turn it on high. 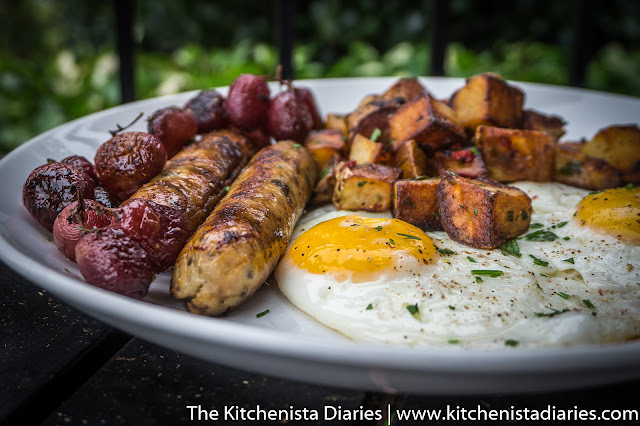 I also totally recommend doing this indoors on a cast iron grill pan if you don't have access to grill a outside, it will likely just take a little longer to cook in batches. After learning how to use a charcoal grill this summer, I'm realizing how much more convenient it is to just step outside and turn on the gas grill for quick things like this! I love charcoal but it feels silly to spend more time waiting to light a grill than it's going to take to cook the meat! When your grill is hot (400 to 450°F is a good window) oil the grates really well and place the chicken breasts presentation side down, a couple inches apart. (Technically there's no skin on the chicken so I can't say skin side down, but I'm sure you can tell which side is the prettier, smoother side.) I also like to grill my remaining lemon. The juice from a charred lemon adds such a beautiful finishing touch. For large chicken cutlets, you're probably looking at 8 to 10 minutes total cooking time. 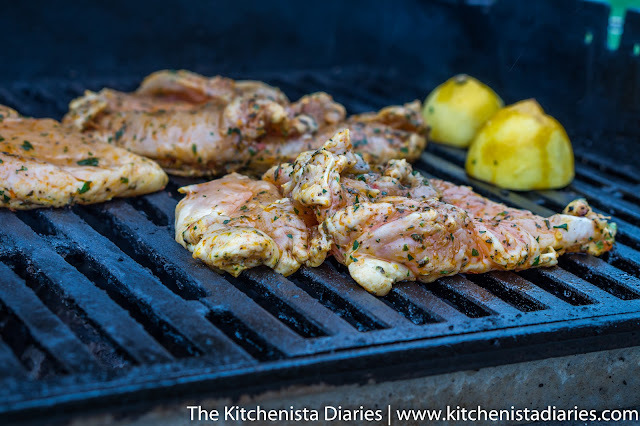 Turn them over halfway through to grill on the other side. In the last minute of cooking, baste with the reserved lemon, herb and olive oil mixture. Even though the chicken was brined it's still important not to overcook it, so pull any smaller breasts off if they're done before larger pieces. And how do you know when it's done? You've taken all my advice and finally got an instant read thermometer, right? Good. Because that's the only way to know that a piece of meat is properly and safely cooked. Not time, not "juices running clear" and not even by feel. Nobody wants to eat raw chicken, and nobody wants dry chicken. Get a thermometer and everybody stays happy. USDA guidelines call for an internal temperature of 165°F for poultry. 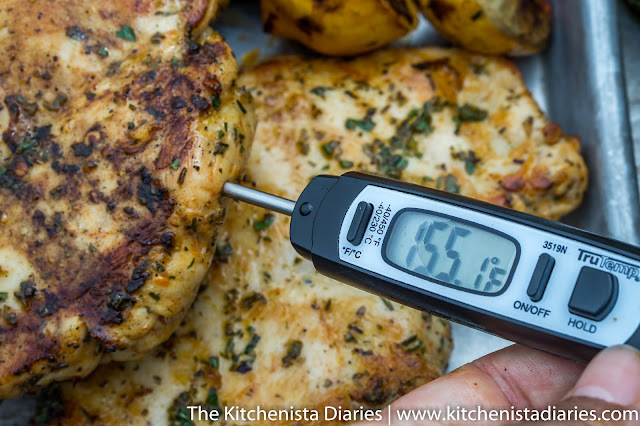 I'll tell you that if you wait to pull your chicken off when it's already 165°F, it'll be dried out by the time you eat it. Start checking the temperature in the last couple minutes of cooking, pull it off at 155°F and let the residual heat carry it over while it rests. 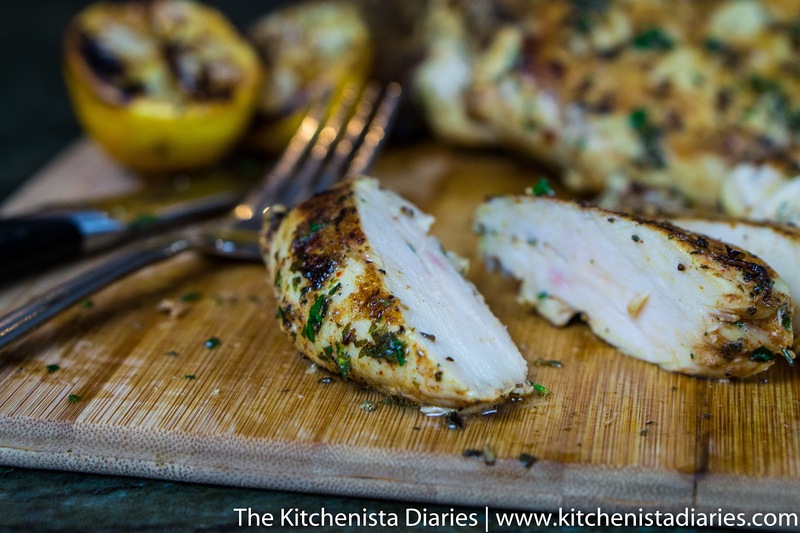 Give the chicken breasts five minutes or so to rest before slicing to retain optimum juiciness. 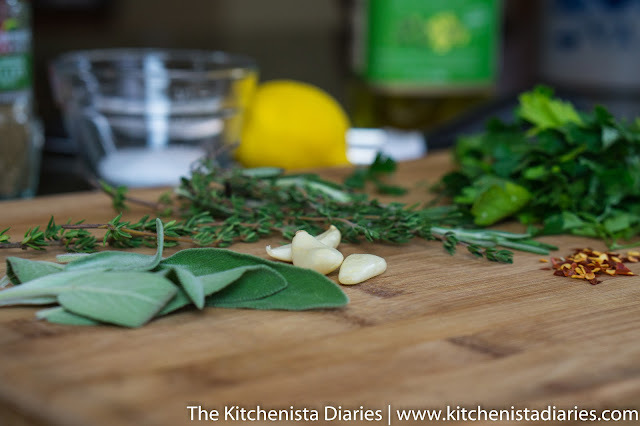 If you have any basting oil left, go to town with those herbs! 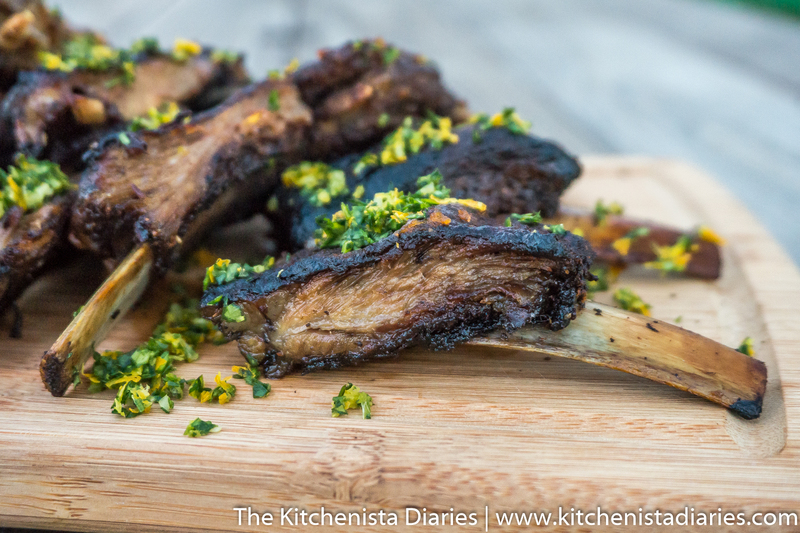 Don't forget to squeeze all that charred lemony goodness all over. These are tender, moist chicken breasts that are packed with flavor. Whether or not you're on a diet, I think we can all agree that this is the kind of healthy eating everybody can enjoy! It's the first week of fall, making it the perfect time for....gazpacho? Yes, actually! Although we usually think of the chilled tomato soup as a summer dish, it's perfect for the abundance of ripe tomatoes, peppers and cucumbers still in season right now. Plus, depending on where you live, early September isn't exactly hot soup weather quite yet. 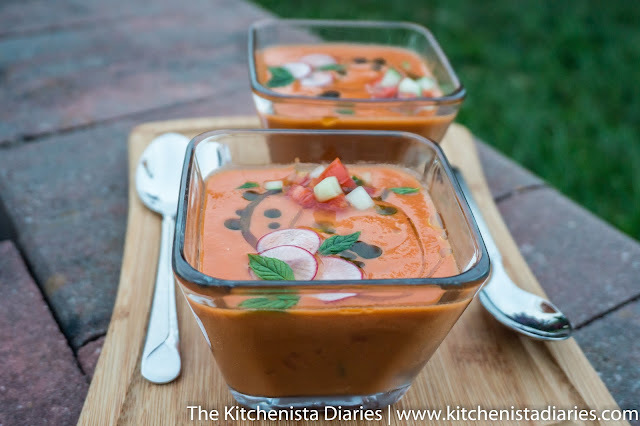 Gazpacho was one of my favorite veggie based meals to make this summer when I wanted an alternative to salad or roasted veggies. That says a lot, because I don't even like tomato soup (just pass over the grilled cheese sandwich, please.) Before I learned how to make gazpacho on my own, my only frame of reference was a farmer's market sample that tasted like pureed pico de gallo. I was confused as to what the appeal of drinking salsa could be. Gazpacho remained something I had no interest in eating for years after that, all because I didn't understand what a good gazpacho should taste like. It's a shame when that happens and we miss out on great food experiences. Fast forward to this summer, when I found myself with more tomatoes than I knew what to do with. I mean a LOT of tomatoes. Fifteen to twenty pounds at a time, to be precise. My mom and dad have been getting produce from a local farm share and the owner sent them home week after week with some of the most beautiful ripened heirlooms I'd ever seen. I can't say what they paid for them, but it was pennies. 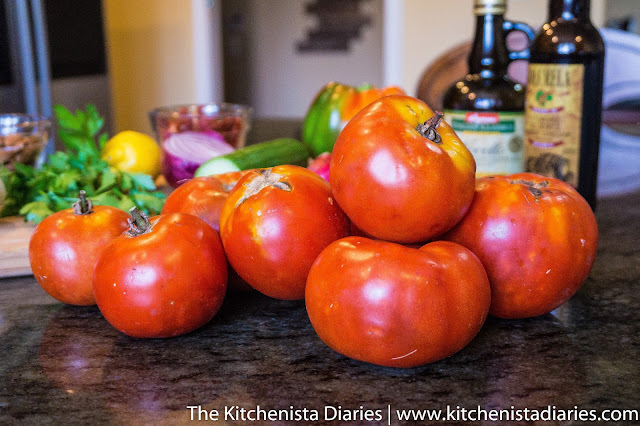 If you've never smelled a kitchen full of ripe farm fresh tomatoes, it's intense. The sweet earthiness will make you realize how bland grocery store tomatoes really are. There was no way I was going to let these babies go to waste so I did my research and learned how to prep tomatoes for canning and freezing. It's a ton of work to blanch, shock, peel & core all those tomatoes. However, the trade off is having a supply for the off season that will surpass just about anything commercially canned. 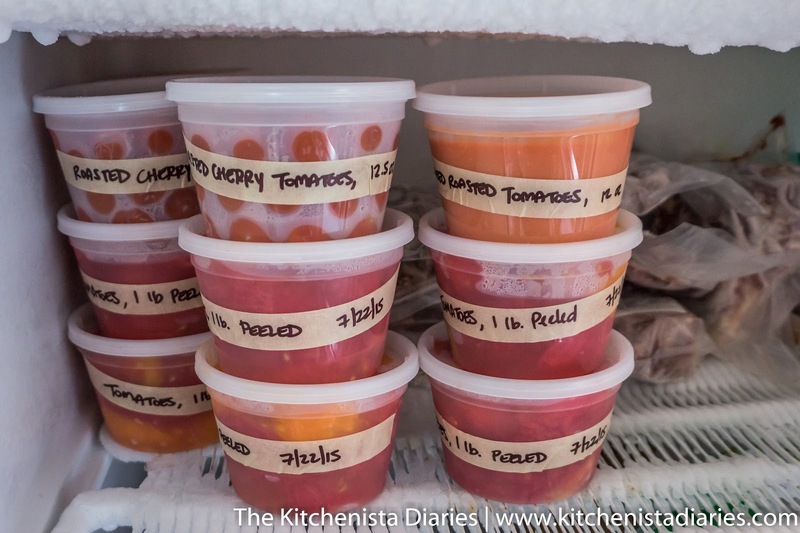 I opted to freeze this particular batch - a little less work than boiling mason jars, although I did end up canning some of the later batches. I've become a huge fan of freezer safe plastic deli containers lately. 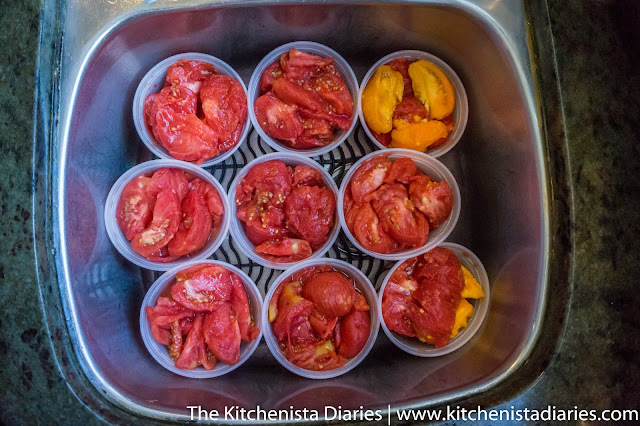 Most of the tomatoes were simply peeled and quartered, but I slow roasted big batches of cherry tomatoes and froze those whole, as well as pureed some roasted plum tomatoes. I'm admittedly a nerd about this stuff but it gave me immense pleasure to begin stocking our freezer up for the coming fall and winter months. Who knew all this Suzy Homemaker stuff could be so much fun? Searching for "tomato recipes" in the middle of the summer pointed me straight into the direction of gazpacho, so I decided it was time to research. I learned that gazpacho was originally a stale bread and olive oil based soup thought to be brought to Spain by the Moors. The Andalusia region of Spain is attributed to what we now think of as a classic tomato based gazpacho. 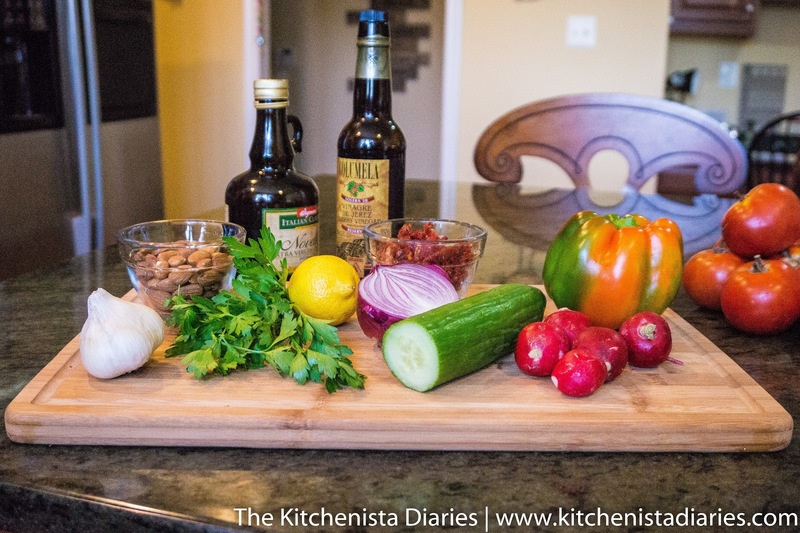 Authentic versions are typically thickened with bread and finished with sherry vinegar and olive oil. That might not sound like a big deal, but it's those finishing touches that transform what are essentially garden salad ingredients into something that's more than the sum of its parts. Which totally explains why the soup I tried at the farmer's market tasted like nothing more than blended salsa. Well, once I figured out that gazpacho was more than a few tomatoes thrown into a blender with cucumbers, I was curious enough to try it out on my own. I opted for an authentic Andalusian version and used Serious Eats' recipe and techniques as my guide. I sprung for some good olive oil and sherry vinegar but otherwise used what I had, subbing milder shallots for the onions, adding in radishes for some heat, and making use of frozen bread ends as my thickener. The results blew me away. The gazpacho was creamy, cool, and refreshing and it tasted like the best parts of summer. It was fresh, flavorful and rich - nothing like salsa or hot tomato soup for that matter. Of course it helped that I was working with fantastic tomatoes, and I'd stress that you do the same. If you can't get your hands on home grown or farm fresh tomatoes, look for organic heirloom tomatoes in the store. Grab a few that feel heavy for their weight. The ideal tomatoes are juicy and just on the verge of being too ripe, with smooth skin and no visible spoilage (they don't stay fresh as long as regular tomatoes, for good reason.) In comparison to the cookie cutter pale orange tomatoes grocery stores are known for, heirlooms may seem damn near ugly. But it's those imperfections and irregularities that are beautiful to me, and an indication that they will deliver on true tomato flavor. I was so inspired by the beauty of gazpacho that I played around with my plating a bit more than I usually do. 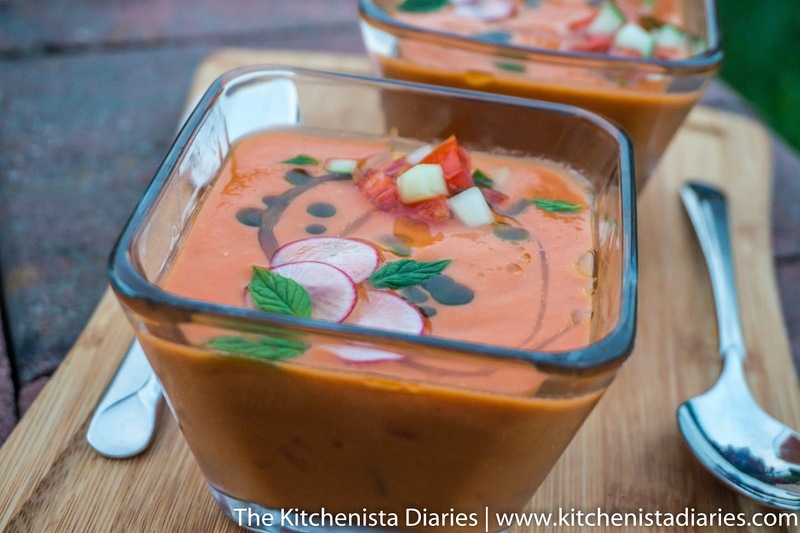 The soup is really smooth and creamy, so to add contrast I garnished with chopped tomatoes and cucumbers and a few thin radish slices. Tender fresh mint leaves, olive oil and homemade basil oil were the finishing touches. 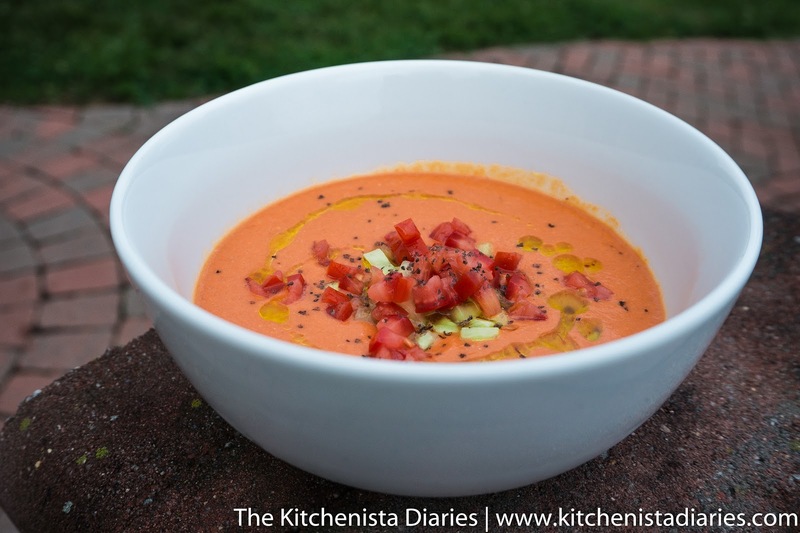 I tried a few different variations of this recipe after that, including a spicy watermelon gazpacho that was perfect with grilled shrimp. 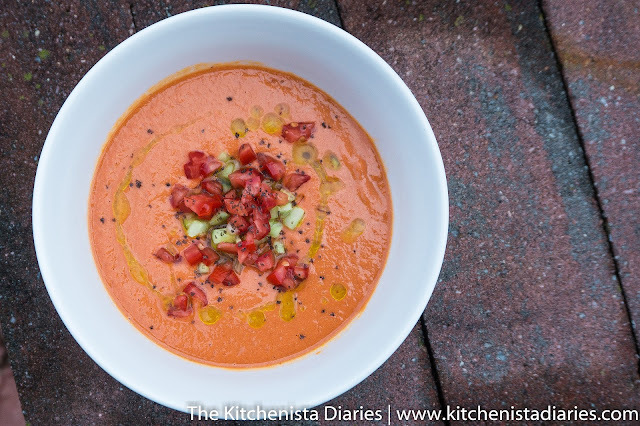 My favorite gazpacho was one that I developed while on Whole 30. With bread out of my diet, I thought to use toasted almonds instead. Besides almonds being a staple in Spanish cooking, they work well to add body to soups and the nuttiness added more flavor than bread really does. You'll need a good blender for a smooth puree, otherwise you might want to try a few thick spoonfuls of almond butter instead. 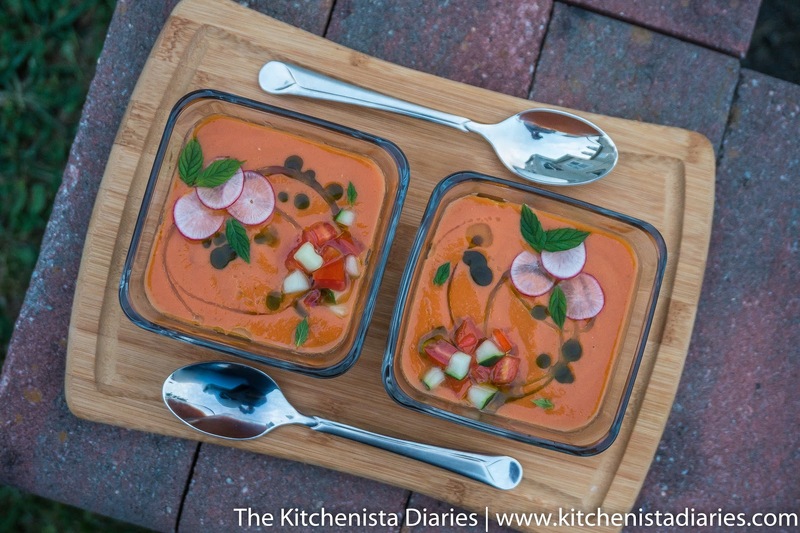 I also wanted to incorporate a smoky component to this gazpacho, to go with grilled fish that day. I added smoked sun-dried tomatoes which further helped to thicken the soup. The smokiness added a subtle depth of flavor that was more complex tasting than a traditional gazpacho recipe, but just as easy to make! Gazpacho can make a satisfying entree for lunch and it's great as a starter or side for dinner. I've seen some cool dinner party spreads with gazpacho shooters as passed hor'dourves. To make it a main course I'd probably add a few pieces of shrimp, thick cut smoky bacon or even lump crab. The night I made this batch of gazpacho, I served it alongside grilled mahi mahi, Spanish "Escabeche" style, with a medley of sherry pickled onions, peppers, olives and capers. It really inspired me to explore that flavor profile further. At any rate, I'm planning to work on a green gazpacho soon and maybe some kind of roasted version for the fall. You can say I'm officially a fan of gazpacho now... but all bets are still off on hot tomato soup! 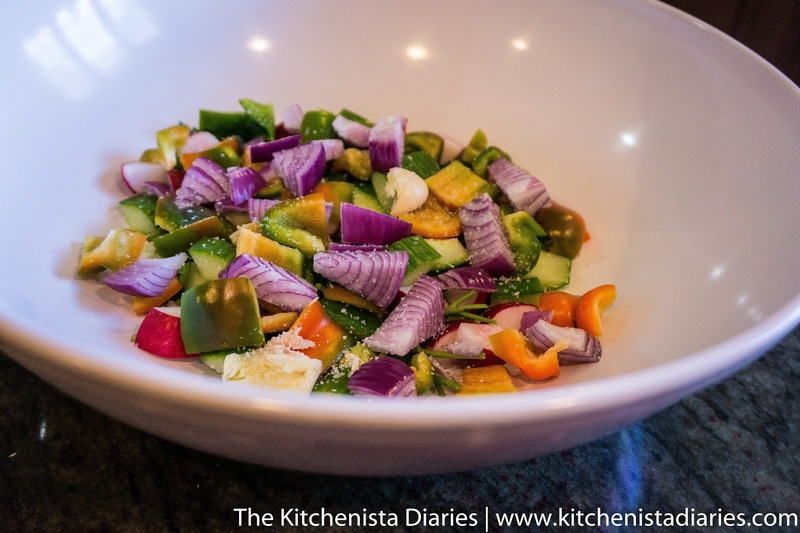 Prep is pretty easy because you don't need to be precise at all with chopping up the veggies. 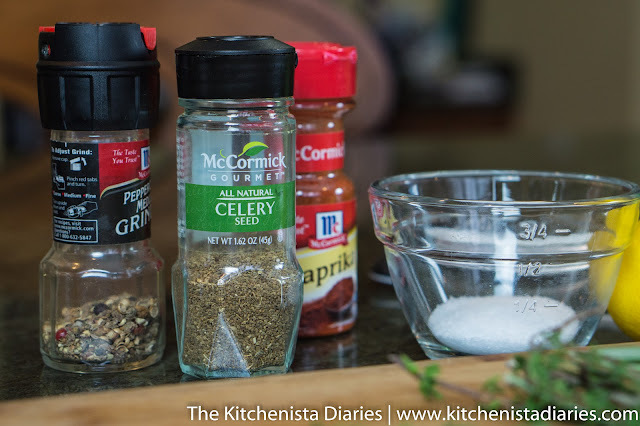 The first step is salting them, which seasons everything and begins to draw out the flavors. Roughly chop the cucumber, onion, bell pepper, radishes, parsley and garlic. Season liberally with kosher salt and toss together in a large bowl. Oh, I usually specify whether to use a green bell pepper or red/yellow/orange, but in this case use what you have. Green peppers will give a fresher, grassier flavor (which I love in gazpacho) and the other colors will add more sweetness. Next, add the cored tomatoes, also roughly chopped. Salt those too. Mine were peeled because they were tomatoes I'd already processed but it's up to you whether or not to take that step. A good blender is going to pulverize the skins so as long as your tomatoes were pesticide free, I wouldn't worry about it. (Same goes for the cucumber by the way.) 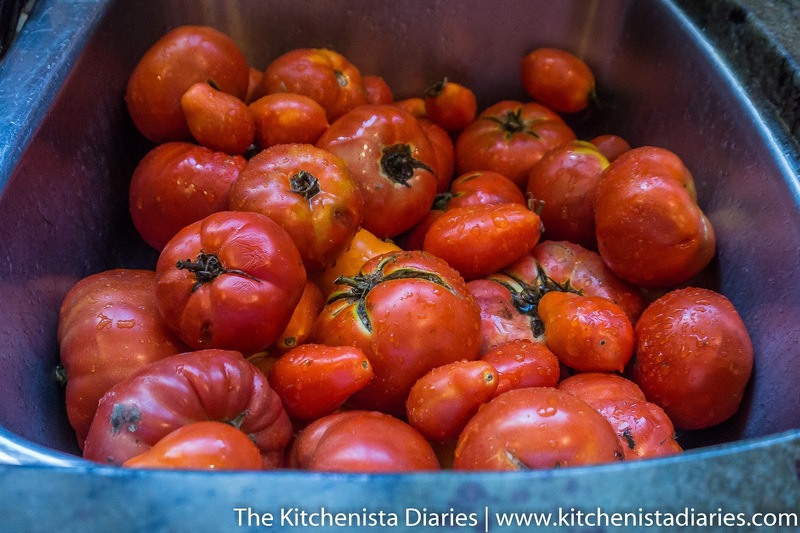 Good, ripe tomatoes will have a ton of juice which is exactly what's needed. Let everything hang out for at least thirty minutes but if you have more time that's great. The salt will pull out all of the juices from the tomatoes and other veggies, so you'll end up with something that looks like this. Here's where things can get a little messy. Most blenders won't fit everything in one shot so you'll probably need to work in at least two batches. Split the almonds and sun dried tomatoes between batches so everything is evenly distributed. 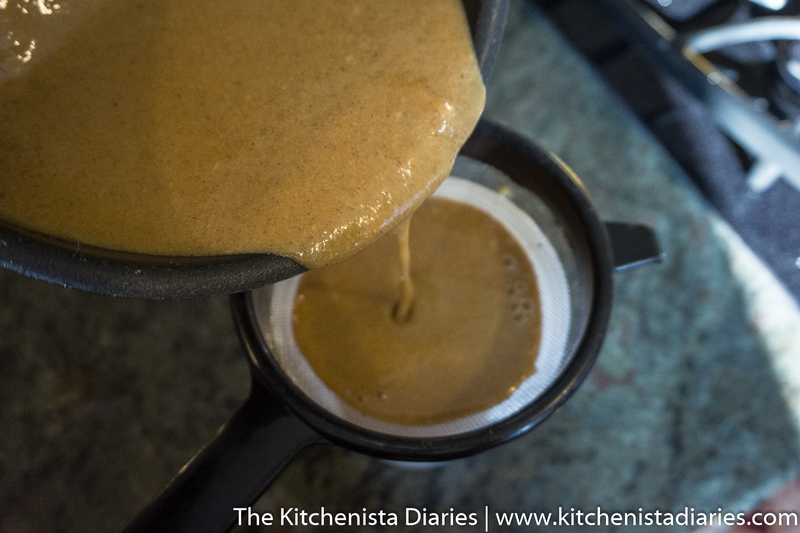 Start out on low speed, increasing to high speed for a minute or two until you have a homogenous mixture. Check to make sure that the almonds were completely blended. Transfer the puree to an empty bowl and do the same for the rest of the salted vegetables. Add the sherry vinegar and juice of a lemon to the gazpacho (I also split this between batches) and double check to taste for salt, adding cracked black pepper to taste. 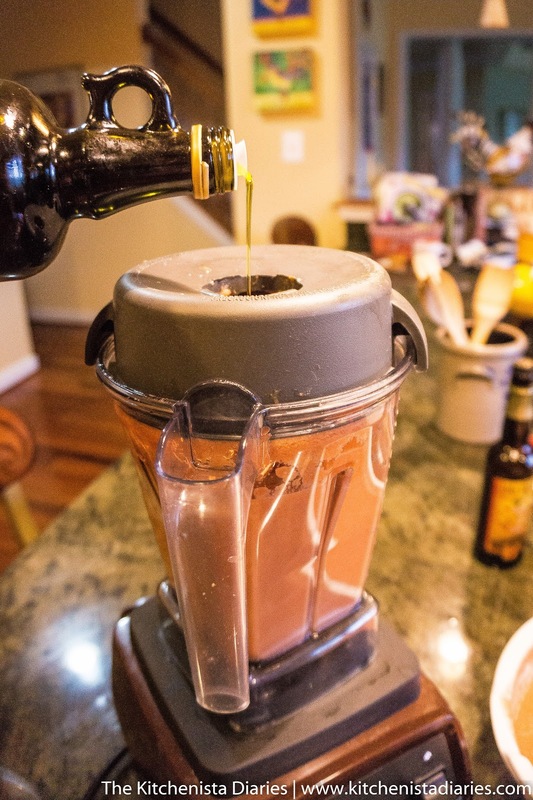 To finish, you'll need to stream the olive oil in while the blender is running on medium to low speed. 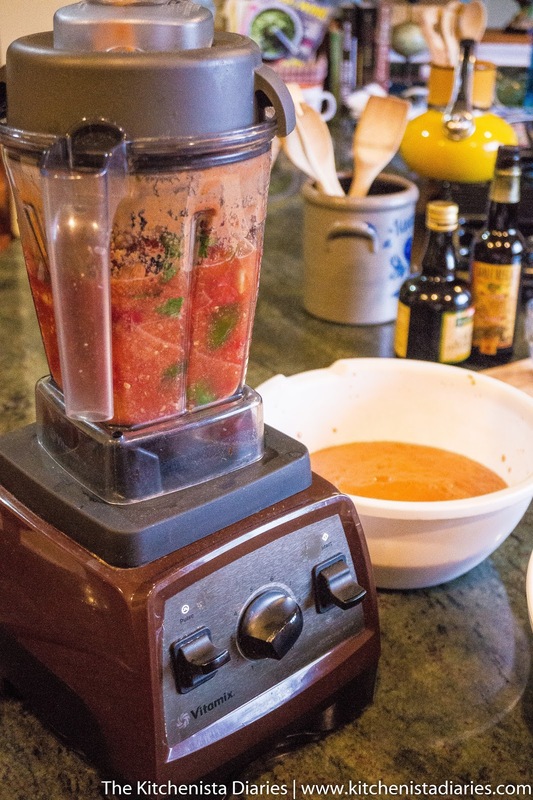 This helps create a strong emulsion, which transforms the gazpacho into a silky smooth texture. Olive oil varies in strength and flavor so the amount needed is more to taste. Spanish olive oils are great for obvious reasons, but use one that suits your tastes. 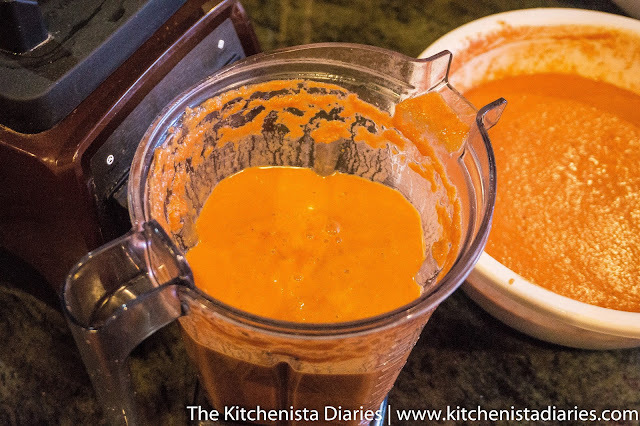 You can see the difference in the gazpacho in the blender that was finished with olive oil versus the one that had only been pureed. 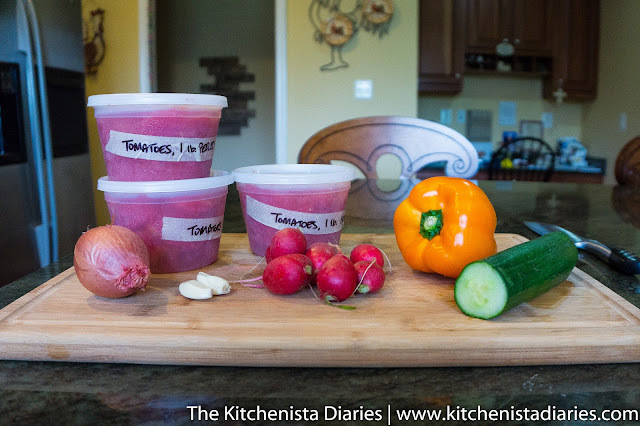 I transfer all of the finished gazpacho batches back to one big bowl to do a final taste test, and then I ladle it into containers for storage. Gazpacho freezes really well, so I'll typically keep a quart in the fridge to eat that day and freeze two quarts to have on hand for another time. You'll want to allow at least an hour to chill or even overnight. Just give it a stir before serving. Garnishes are a nice way to add some textural contrast back to the soup. 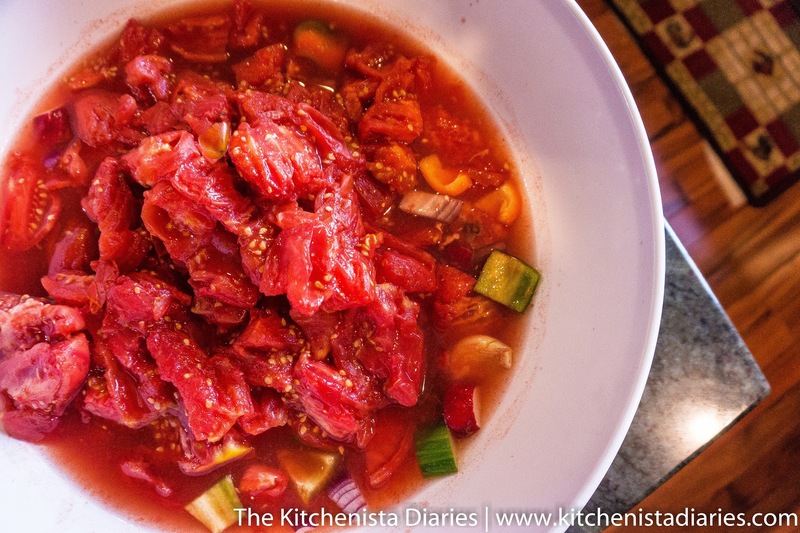 The simplest thing to do is spoon some finely diced tomato and cucumber into the bowl and drizzle it with olive oil. 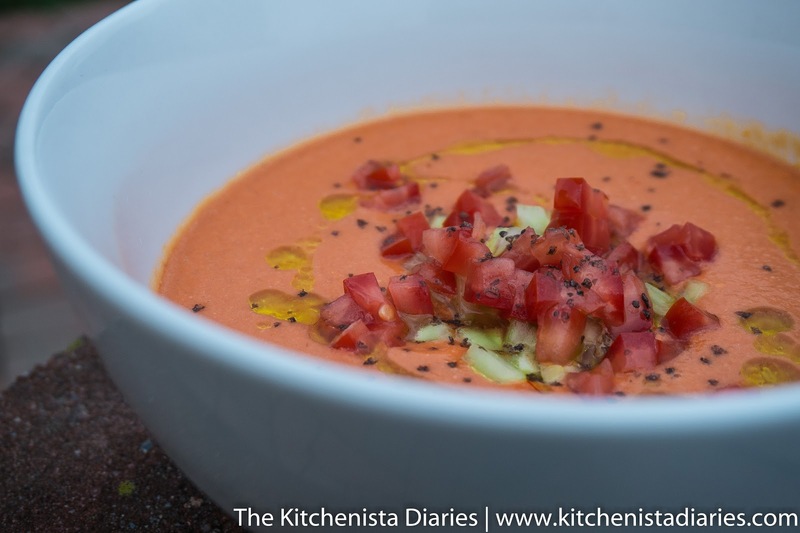 I also added a pinch of smoked sea salt to drive home the subtle smokiness in the gazpacho. 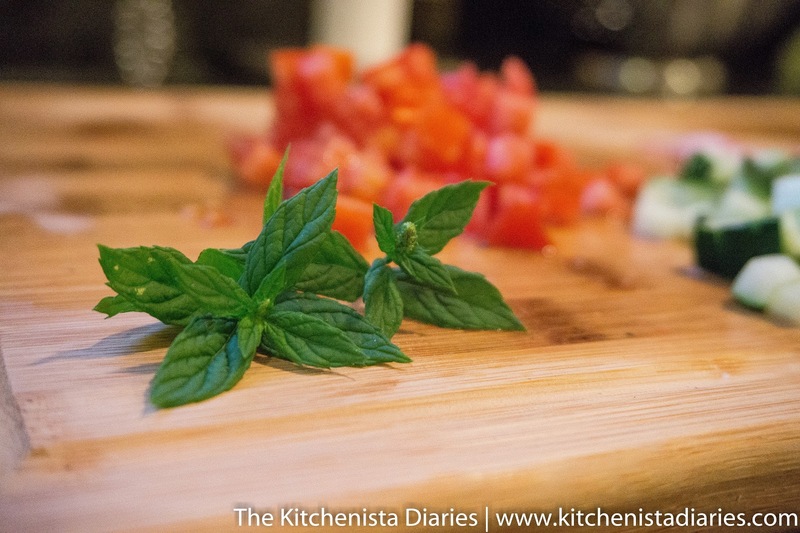 Herbs can also work to garnish a bowl of gazpacho; I'm partial to mint or basil. Cilantro can push you towards that salsa flavor profile which I wanted to avoid, but that said it's a combination that works if it suits you! Chives are also an option, as utilized in the Serious Eats' gazpacho recipe. At its best I think gazpacho is a simple soup that elegantly transforms fresh, seasonal produce. As somebody who is used to relying on a lot of spices and aromatics, this was truly a lesson in restraint for me this summer but it served me well. I'm really glad I took the time to try something that I assumed I wouldn't like, and I hope you have fun making a gazpacho of your own! It's officially pumpkin spiced everything season! 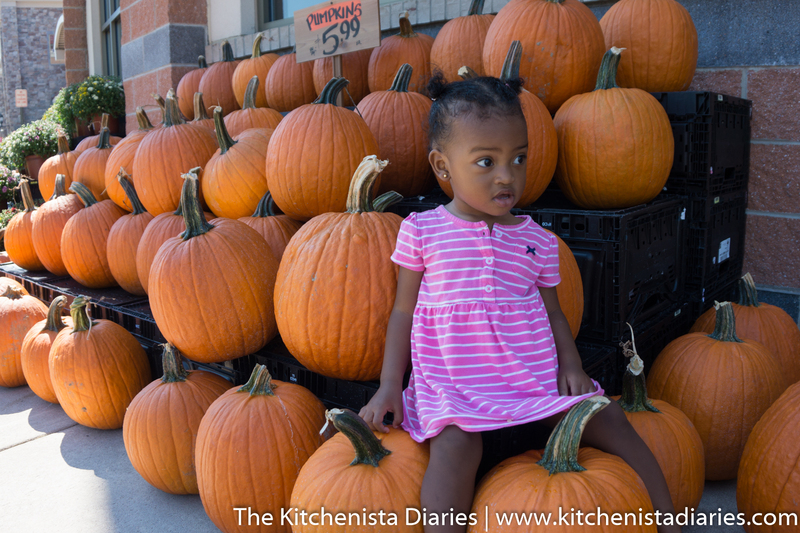 Although Biscuit seems largely unimpressed by her first glimpse of pumpkins, I am celebrating today. As I detailed in my last post, I've been on a crazy restrictive diet for the past thirty days. Despite growing fond of sugar free black coffee, today I was finally able to have that pumpkin spice latte I've been dreaming about. It was just as good as it always is; a symbolic warm welcome to the fall season. I eliminated dairy from my diet for the past month and I'm not quite ready to reintroduce lactose so I opted to have my latte made with coconut milk. 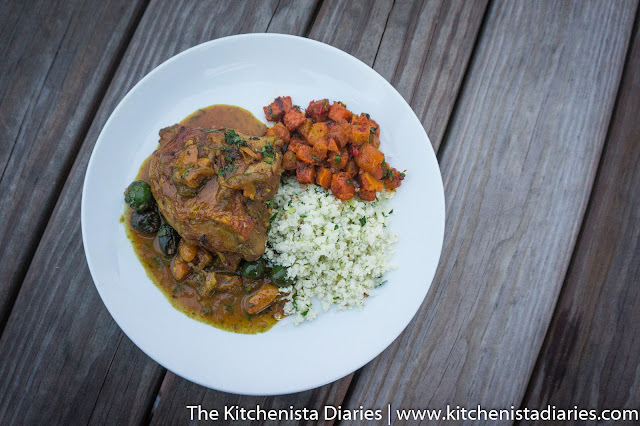 It still felt creamy and indulgent and the combination ended up inspiring this post. 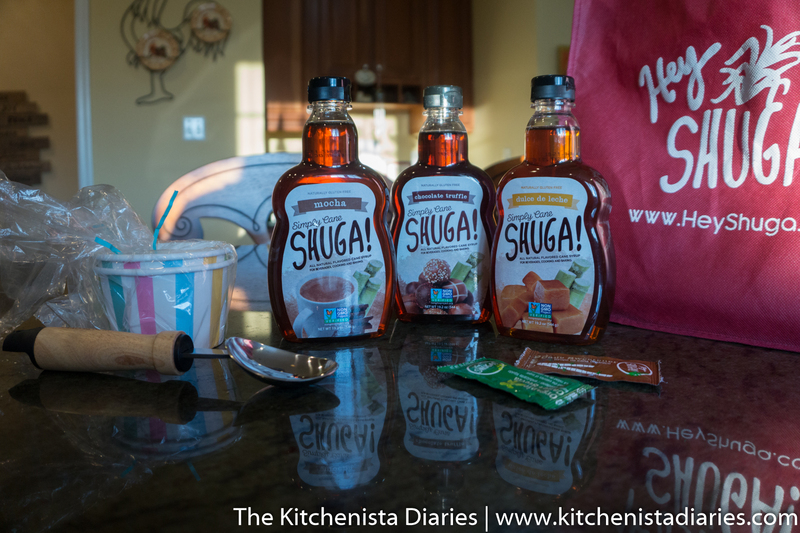 Shortly after starting my diet, Simply Cane SHUGA! reached out to me about their #SimplyCaneSummer promotion. 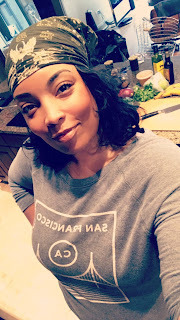 I was hesitant - after all, here I was giving up sugar for a month so how was I going to work on a recipe let alone feel good about sharing it? I agreed to give the products a try after my diet was over and they graciously allowed me some flexibility on the timing of my post. As it turns out, Simply Cane SHUGA! is an all natural and non-GMO cane syrup with a lower glycemic index. All of those things are important to me in choosing sweeteners that I can feel good about serving my family and clients. I was also pleased to find out that the Hey SHUGA! brand also makes organic cane, plus cane and stevia liquid sweeteners. Sugar doesn't need to be a daily part of my diet anymore, but when it's warranted, I'd like to choose wisely. The flavors I received in my gift pack included Mocha, Dulce de Leche and Chocolate Truffle, which should all make for some interesting treats come holiday baking season. For today's recipe I wanted to focus on something simple and kid-friendly that captured the essence of my favorite fall beverage. 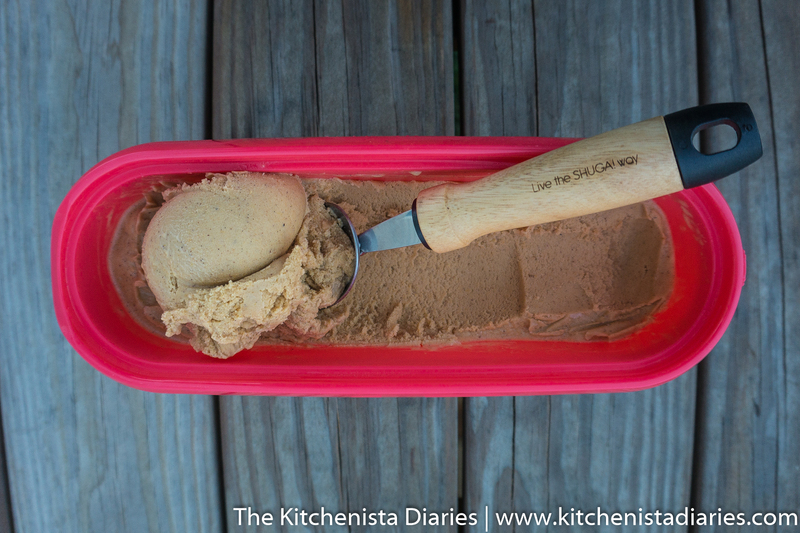 The ice cream scoop included in my package instantly gave me an idea of how to pull together a quick treat today. The best thing about making your own ice cream at home is being able to control the quality of ingredients, especially sweeteners. The mocha flavor of Simply Cane SHUGA! created a pumpkin spiced ice cream that actually tasted like my coffee beverage but still appealed to my 12 year old son's taste buds. Full fat coconut milk was my ticket to a creamy lactose-free ice cream. I haven't really found a vegan coconut milk ice cream that I enjoyed texturally, so I opted to keep the eggs in this recipe for richness. A freshly ground batch of homemade pumpkin spice and some good quality vanilla bean paste provided the classic fall flavor profile I was after. 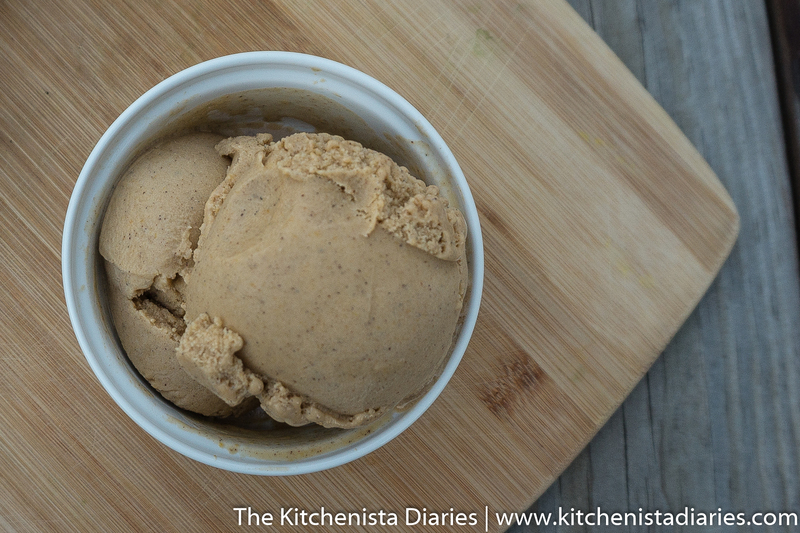 Finally, some leftover roasted butternut squash gave my ice cream more body and a pumpkin-esque flavor. (In my mind pumpkin spice without actual pumpkin is a bit of a tease, but maybe that's just me.) 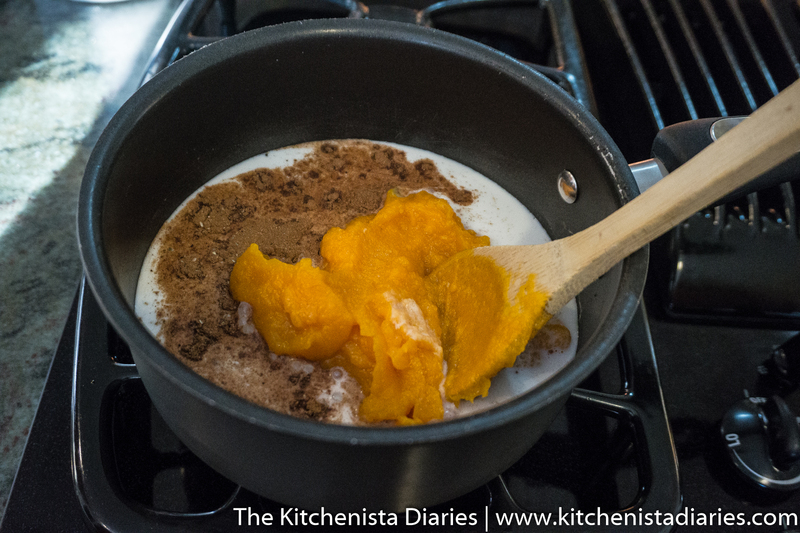 You can use organic canned squash or canned pumpkin puree if you prefer, the latter of which might make your ice cream a tad more orange in color. 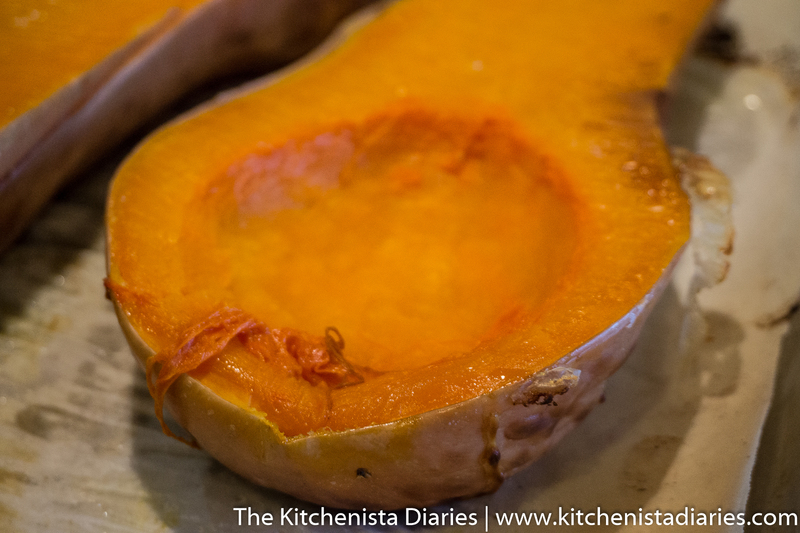 Remind me later in the season to share how I figured out that butternut squashes actually make a better "pumpkin" pie. This recipe requires the use of an ice cream maker for best results. The process is standard ice cream making procedure, starting with heating a custard base, chilling the base thoroughly, then churning in the ice cream maker. Allow plenty of time to chill the custard and for the churned ice cream to freeze. I was able to squeeze it all into one day by making my base really early in the morning, but it can also just be done the day before so it has time to chill overnight. If you're using the ice cream attachment for your stand mixer make sure to freeze the bowl and paddle at least 24 hours before using it. 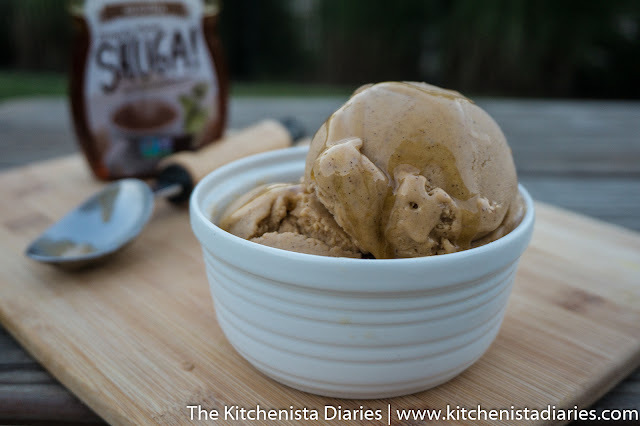 1/4 to 1/2 c. Mocha flavored Simply Cane SHUGA! 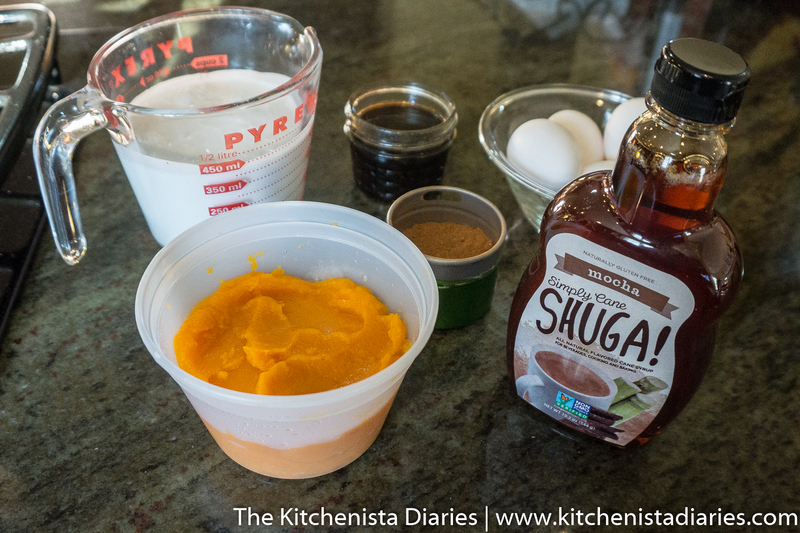 In a medium sized pot, combine 1 1/2 cups of coconut milk, the pumpkin spice, vanilla bean paste, pureed pumpkin, and the desired amount of mocha flavored Simply Cane SHUGA! 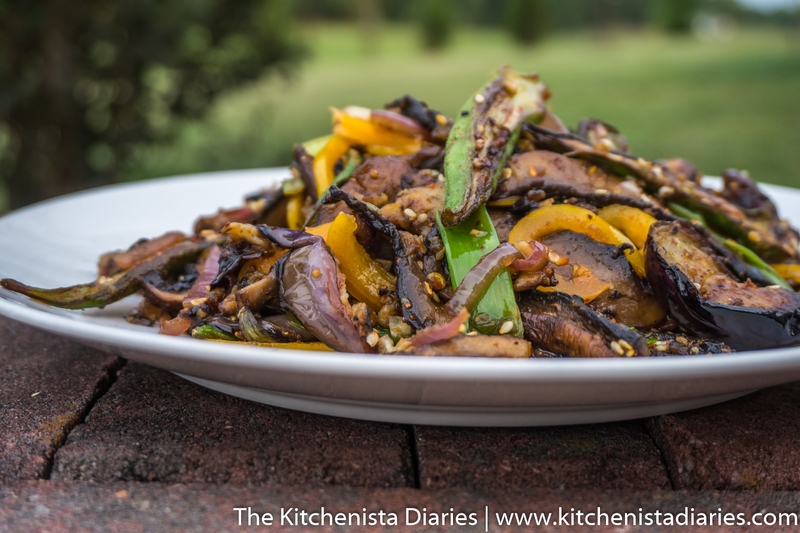 Season to taste with salt and a few grinds of cracked pepper. Black pepper may seem odd in a dessert but it adds a tiny bit of heat that helps cut through the richness of the other spices and flavors. Make sure your puree is smooth - if you used a fresh squash or pumpkin you'll want to run the flesh through a food processor or blender before using in this recipe. 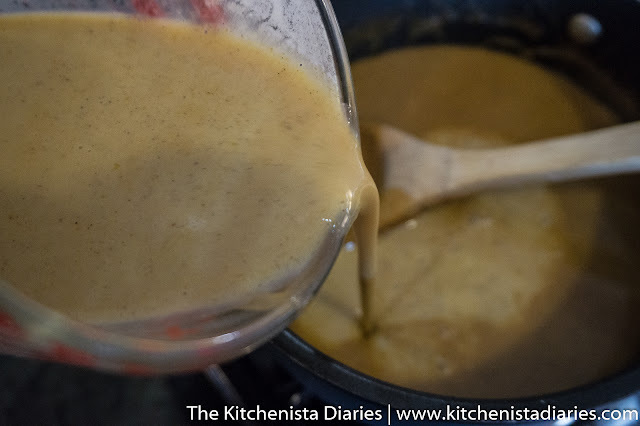 When the mixture is smooth and gently warmed, remove from heat. 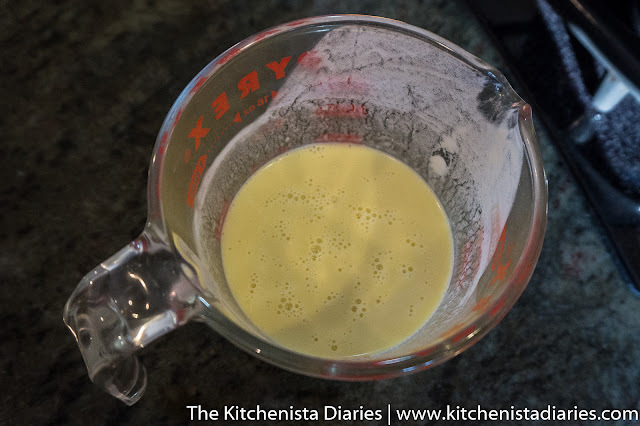 In a separate container, whisk the egg yolks with the remaining 1/2 cup of coconut milk. 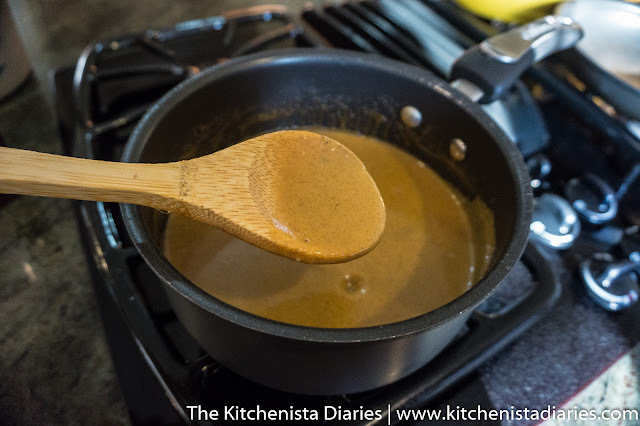 Temper the egg yolk mixture by adding 3/4 cup of the warm pumpkin base from the pot, 1/4 cup at a time, stirring constantly. This helps bring up the temperature of the egg yolks so that they don't instantly scramble when you add them to the pot. Slowly pour the tempered egg yolk mixture into the pot, stirring constantly. Return the pot back to medium heat and allow it to simmer gently while continuing to stir as it thickens. Don't let it boil. 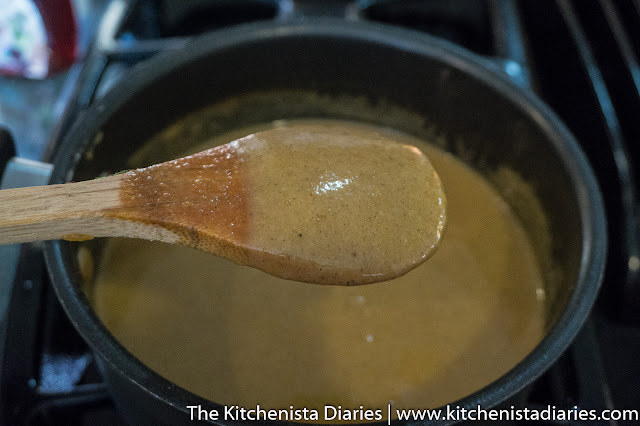 When the custard base reaches about 170° F and coats the back of a wooden spoon, remove it from the heat. Strain the custard base through a fine mesh sieve for the smoothest ice cream. Chill the strained custard base in the fridge until it's completely cooled, at least a few hours but preferably overnight. 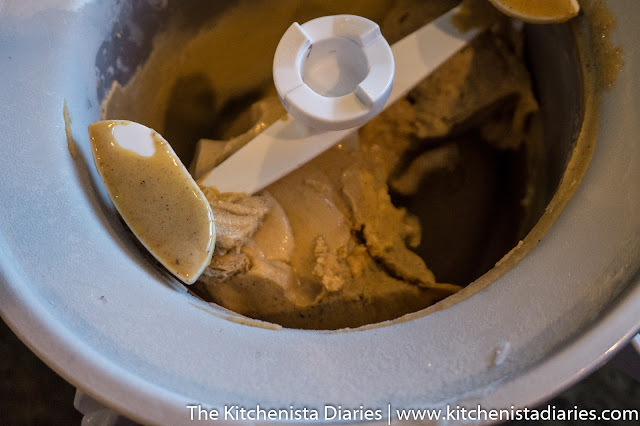 When the custard base is thoroughly chilled, churn it per your ice cream maker's specifications. Mine takes about 20 minutes. The resulting soft serve ice cream can be eaten immediately, but if you want scoopable ice cream you need to freeze it first. Transfer the ice cream to a shallow container, placing plastic wrap over the surface to prevent ice from forming under the lid. Freeze for at least three hours, or until solid and scoopable! 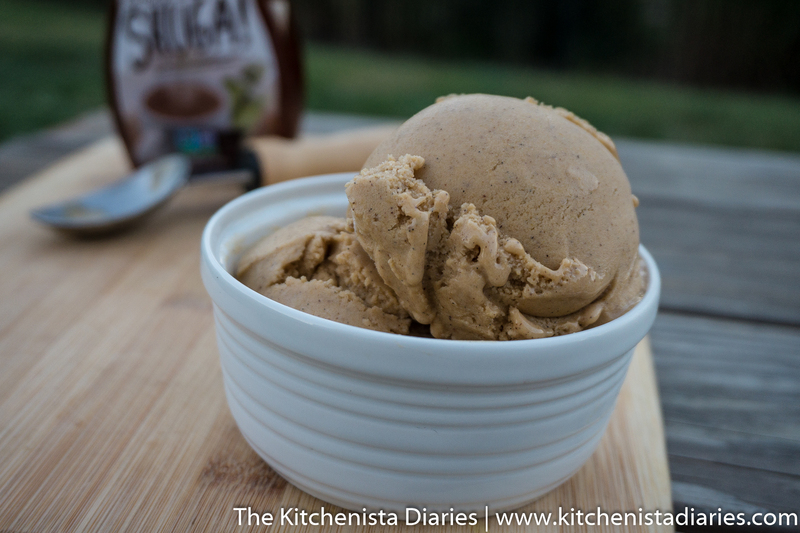 I didn't make my pumpkin spiced mocha ice cream very sweet, so a little bit of SHUGA! drizzled over the top was the perfect finishing touch. This tasted almost exactly like my favorite pumpkin spiced latte, but frozen! Also? We each enjoyed just one scoop. If you know anything about my ice cream addiction, you'll know how much willpower that took! Simply Cane SHUGA! is an affordable natural product exclusively sold at select Walmart stores. To participate in the #SimplyCaneSummer sweepstakes, share a picture of your Simply Cane SHUGA! via Instagram or Facebook for a chance to win $1,000 plus one of five $100 Walmart gift cards. 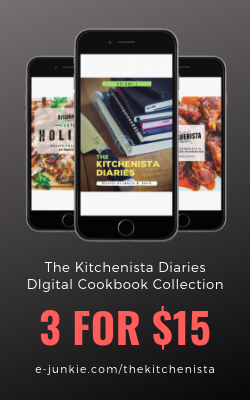 Sweepstakes ends September 30, 2015. Follow Hey SHUGA! on Instagram and Facebook for even more ideas on how to use their liquid sweeteners!